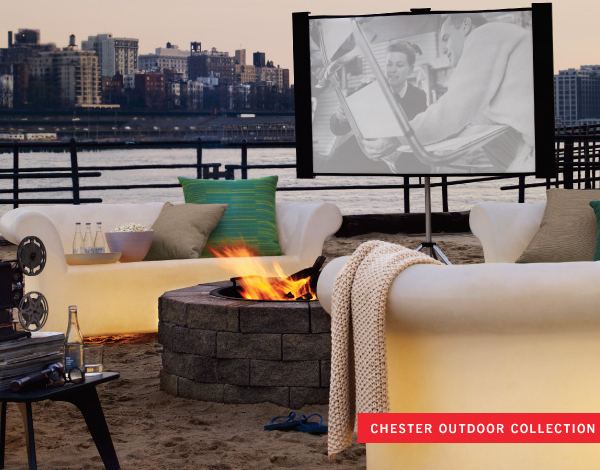 The Chester Outdoor Collection is perfect for creating a relaxing space in the backyard. These new sofas and armrests have an opening at the bottom of them which allows you to insert the provided lights into them. You end up with soft glowing outdoor furniture. Pricing is $650- $1460 and they are available from DWR.